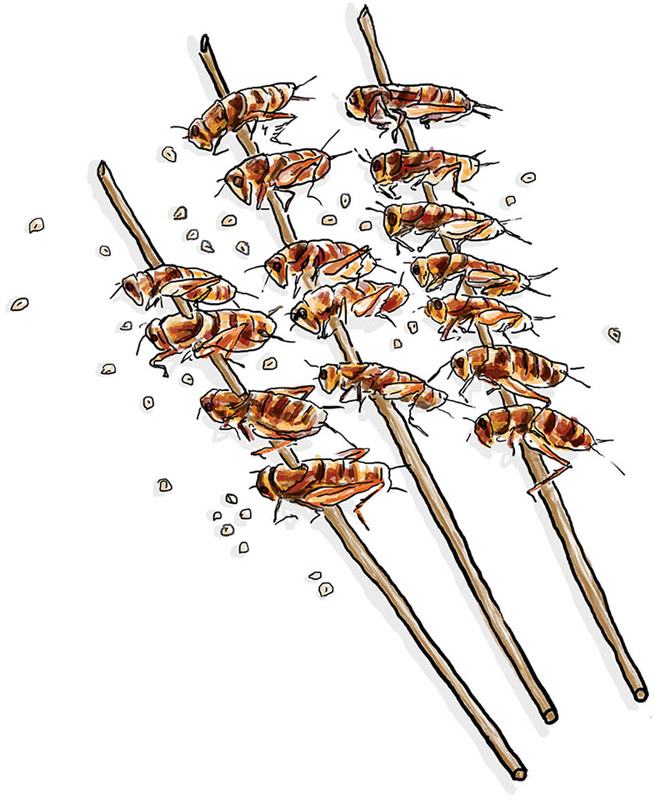 By Leah Mennies·	 5/27/2014, 4:25 a.m.
Entomophagy, or the practice of eating insects, is something you’ll be hearing a lot more about—especially if the Cambridge-based snack company Six Foods has anything to do with it. The brainchild of three recent Harvard grads, the startup received Kickstarter funding last month to create “Chirp Chips” and “Chocolate Chirp Cricket Cookies,” pun-tastic snack foods made with protein-rich cricket flour. 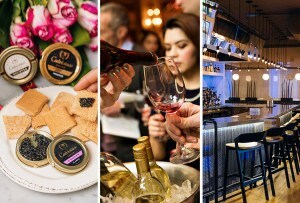 The products aren’t as far-fetched as you’d think: About 80 percent of the world already consumes insects, which are also a sustainable protein source. And when prepared by skilled chefs, they can bring exciting new flavors to the table. At Six Foods’ Kickstarter launch party, for example, Sofra chef de cuisine Geoff Lukas (who consulted with the company) feted the crowd with cricket sushi, mealworm arancini, and waxworm tacos. Lukas isn’t the only chef in town giving insects the restaurant treatment. 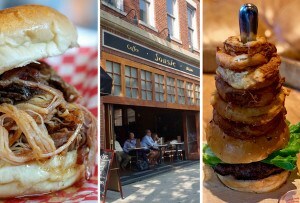 Here, four more dishes you may see on a local menu in the not-so-distant future. 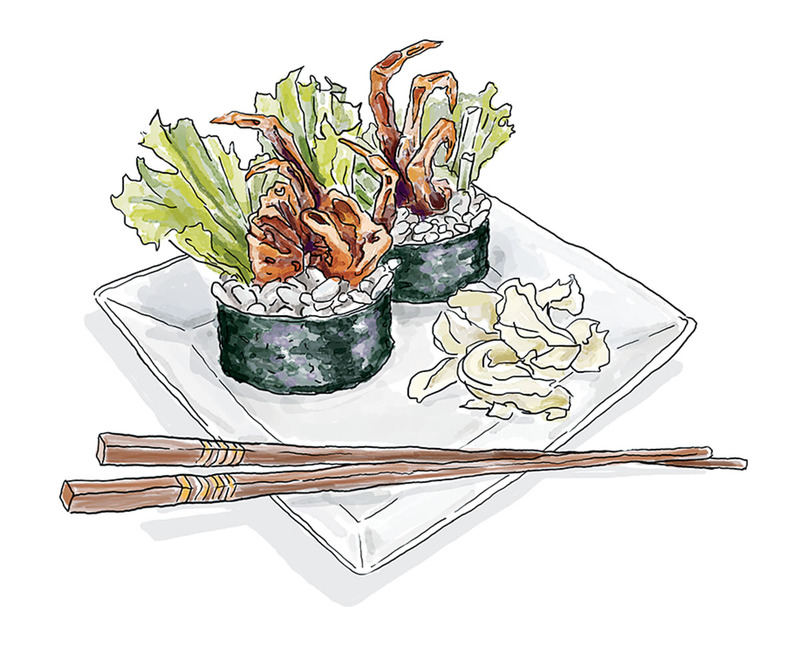 The popular maki known as the “spider roll” gets its moniker from the spindly, tempura-fried soft-shell crab legs that poke out of it. O Ya chef Tim Cushman doesn’t serve maki, but he’s considering his own take on the roll, using tarantulas in lieu of the crustaceans. Mei Mei’s Max Hull and Irene Li are playing around with freeze-drying mealworms, flash-frying them to order, and dusting them with Old Bay for a crunchy snack. At this Back Bay sashimi bar, chef Tony Messina is hoping to serve the critters up yakitori-style (skewered and grilled over hot charcoal) with a sweet soy glaze. 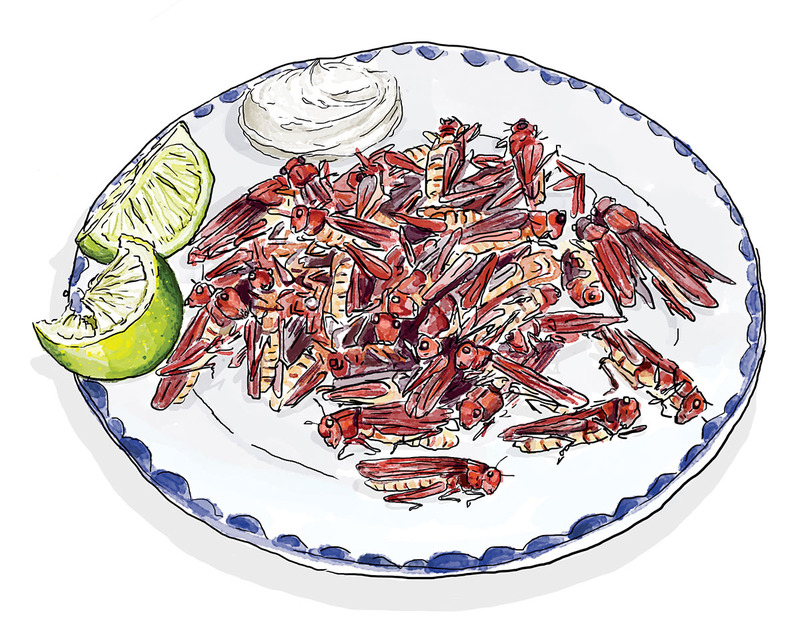 A Strip-T’s line cook who hails from Mexico gets his family to ship grasshoppers, known as chapulines, to the restaurant when they come into season during the summer. 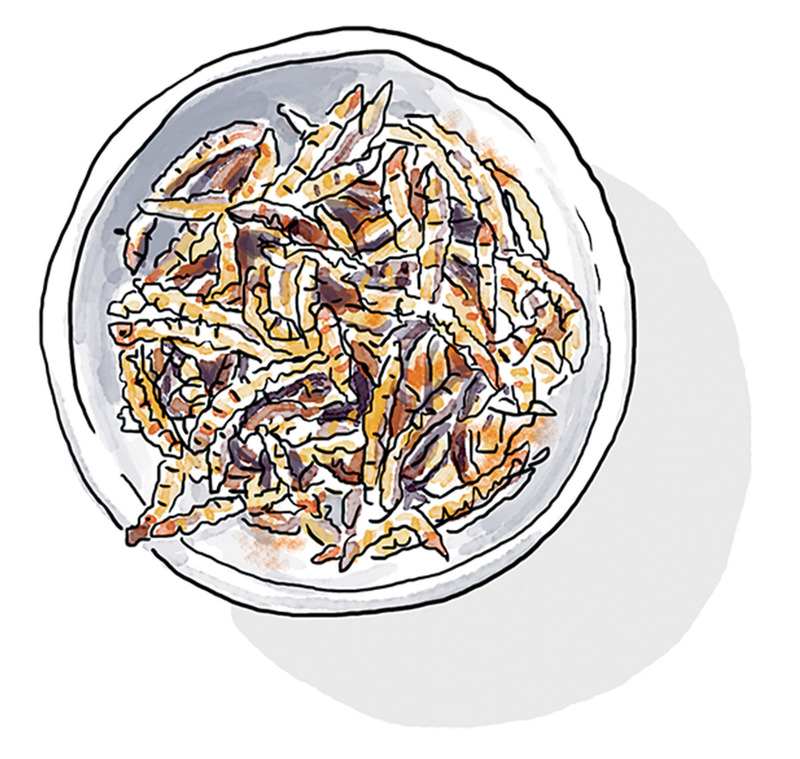 There, chef de cuisine Jared Forman fries them, finishes them with lime juice and salt, and serves them with cayenne-spiced sour cream.